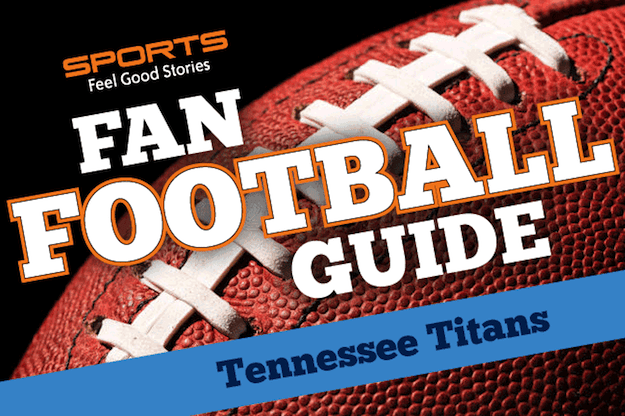 Our Tennessee Titans Fan Football Guide will get you quickly up to speed on the NFL team that calls Nashville home. In the past few years Nashville has seen incredible growth becoming one of the fastest growing cities in the country. Known as “Music City”, Nashville is a crazed sports city, too. Since moving from Houston the Titans (Formerly the Houston Oilers), the team has enjoyed a huge growth in their fanbase. Tennessee loves its sports teams. From their beloved University of Tennessee Volunteers to their NHL team Nashville Predators, the Titans are always in the conversation. On April 4, 2018, the Titans introduced their new uniforms in grand style. Over 14,000 people showed up for a team party to see some of their favorite players walk the runway. 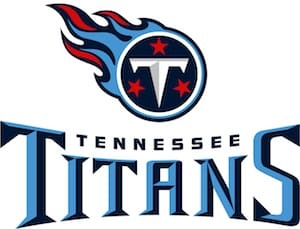 The Titans hosted country music superstar Florida Georgia Line who perform for the crowd. The City Loves the Titans and the Titans love them right back. During the 2017 Stanley Cup, Titan’s QB Marcus Mariota, along with his entire offensive line, cheered on the Nashville Predators all the way to a game seven on the finals. Because games usually begin at noon, breakfast is a big deal. Fan favorites are sausage balls – best served with a side of white gravy. Tennesseans love fried chicken too, so chicken biscuits for breakfast are a must. Country music stars are generally big Titan fans. It is not uncommon for a huge country act to sing the anthem. After all this is “Music City”! After each Titan touchdown the Titan Cheer team run across each end waving a HUGE Tennessee Titan Banner. A daunting task that requires strength, agility and a visit to the chiropractor the following day. Goo-Goo Clusters – the official candy of Nashville. Pulled Pork BBQ Sandwich – Tennessee BBQ is arguably the best in the world. Nashville Hot Chicken – It won’t it the spot if it aint HOT! Watch Tennessee Vols Football – As much as the Titans are a favorite regional team, they pale in comparison to SEC football, especially the University of Tennessee Volunteers. Go Honky Tonkin’ – Nashville has become one of the hottest tourist destination in the country. One can experience a potpourri of incredible acts throughout Middle Tennessee especially the Honkytonks in Nashville’s iconic SoBro. Take a Selfie at Tootsie’s Roof top bar – the most recognized honky tonk in SoBro. You must get there early to make it to the Roof top, but every bit worth the effort. Visit the Country Music Hall of Fame – Exhibits include memorabilia from the early days of country music along with today’s biggest country acts. A great way to spend and afternoon. Go fishing! – nuf’ said. Nashvulle – To a true local it’s always “vulle” not “ville”. Anything else is a sure indication that you’re an out of towner. This holds true for any city; Knoxvulle, Louisvulle and on and on. Coke – if you want a soft drink in the Volunteer State, don’t ask for a soda and God-forbid don’t use the word POP! When you ask for a Coke, the proper response is, “What kind of Coke you want?” A Coke could be an anything from a Sprite, an orange drink to an actual Coca-Cola. Well, bless your heart – This is not a compliment. Do or say something stupid and this will be the response you will get from any true-blue Tennessean. Titan flaming hair wig – These crazy red flaming hair wigs are reminiscent of something out of an X-men comic. On any given Sunday you find the stadium dotted with crazed fans heads ablaze cheering the Titans on to victory. The Colts have been the division leader since drafting Peyton Manning in 1998. Although the Titans have fielded competitive teams, the Colts have the advantage 32-16 in their rivaled history. The Ravens knocked the Titans out of a second Super Bowl appearance in 2008. The game ended on a controversial call that allowed the Ravens score and take the lead with 53 seconds left in the game. The loss began a playoff drought for Tennessee that finally ended in 2017. The team and their fans have never forgotten. These South Division foes just don’t like each other. Even when both teams were perennial cellar dwellers, this matchup took on the appearance of a championship game. Today, both teams are conference leaders, each team making it to the AFC playoffs in 2017. #9 Steve McNair – The best Quarter back I the Titan era. McNair was Co- League MVP long with Peryton Manning in 2004. #89 Frank Wycheck – Wycheck was instrumental in creating he Music City Miracle the play that propelled the franchise into their only Super bowl. Honorable mention – #1 Warren Moon – even though he never played in a Titan uniform the Hall of Famer from the Houston Oilers era is beloved in Tennessee. The 1999-2000 AFC Wild-card game. With 16 seconds remaining in the game, the Buffalo Bills kicked a field goal to take the lead 16-15. 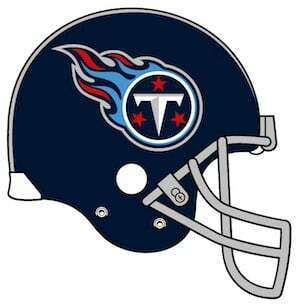 On the ensuing kickoff the Titans made the miracle happen. Fullback Lorenzo Neal fielded a short kick handing it to tight end Frank Wycheck. Wycheck air-mailed a long lateral across the field to wide receiver Keven Dyson. Dyson runs the ball 75 yards into the end zone for the win and the crowd goes crazy! The Titans advanced in the playoffs and eventually to the Super bowl where they lost to the St. Louis Rams, 23-16. With time ticking away in Super Bowl XXXIV, Quarterback Steve McNair scrambled and passed the ball to Kevin Dyson in heavy coverage. Dyson makes a diving catch coming up a yard short of the goal line as time ran out. In the 2017 AFC Wild Card game against the Kanas City Chiefs, Mariota made a miraculous play. The Titans were in the red zone. The scrambling Mariota delivered a pass that was deflected by Chiefs’ Darrelle Revis. The ball is picked out of the air by the QB who scrambles into the end zone for the score. Tennessee went on to upset the favored Chiefs 22-21 to advance in the playoffs. Two Heismann Trophy winners on the same offense! Both quarterback Marcus Mariota (Oregon), and running back Derrick Henry (Alabama) were recent Heismann Trophy winners in 2014 and 2015 respectively. Moreover, both played major roles in college national championship games before entering the NFL draft. Three red stars (like those on Tennessee’s state flag) with a sword shaped capital “T” appear inside a white ring. Red and blue flames like a comet or solar flare trail the ring. The Music City Miracle Gang – Lorenzo Neal, Frank Wycheck and Keven Dyson – You will rarely hear a discussion about the Titans that does not include the Music City Miracle. This single play immortalized these players in the State of Tennessee. Steve McNair – One of the toughest players to ever wear a football uniform, McNair could win games in so many ways. The City mourned when he lost his life on July 4, 2009. Eddy George – The former Heisman Trophy winner is an icon in the state. George is a fixture in the city providing color commentary for Titan pre-season games. Bud Adams – founder of the Houston Oiler/Tennessee Titans. Responsible for bringing the franchise and NFL football to Tennessee in 1997. Bruce Matthews – The Hall of Fame offensive lineman played for the Oilers/Titans for 19 seasons. What sounded like Boos were actually fans chanting BRUCE every time he came on the field. He is one of seven members of the Matthews Family over three generations to play in the NFL. Cody Davis – a first round draft choice in 2017 Davis was injured for most the season. He came on strong in the Titans play-off run. Malcom Butler – The New England Patriots’ hero of Super Bowl XLIX. Butler was picked up in free-agency in the off season. He will be a great addition to a young aggressive Titan secondary. Mike Vrabel is a both a first-time head coach and the Titan first year coach. Most recently Vrabel was the defensive coordinator for the Houston Texans. As a player, the Ohio State linebacker was third round pick for the Pittsburg Steelers. He joined the New England Patriots as a free agent in 2001 where he became an All Pro winning three Super Bowl rings. A student of the game, his mentors have included Patriots head coach Bill Belichick and the Detroit Lion’s new head coach Matt Patricia. Who owns the Tennessee Titans? 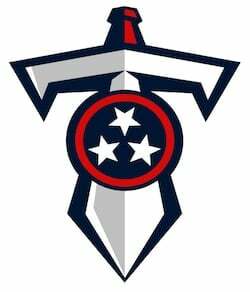 The Titans were founded by Bud Adams as the Houston Oilers, one of the original AFL teams. Since his death in 2013, his daughter Amy Adams has taken the reins of the team. Her biggest contribution to date was the signing of Jon Robinson to be their General manager. Robinson has since taken the Titans from two of the franchises most embarrassing season to the playoffs where they came within a game of the AFC Championship. Versatility is a must. Unless you’re the quarterback you better come here prepared to play more than one position. We worked hard all week and to be able to be successful and execute was good for us, the entire offense played well. I’m very fortunate to be a part of the group that I am. Q – What do the Tennessee Titans and a possum have in common? A – Both play dead at home and get killed on the road! Q – What do the Titans and the Post Office have in common? A – Neither deliver on Sunday. Where do the Titans Play? Nissan Stadium, with a listed seating capacity of 69,143, is where the Titans call home. Situated in Nashville, it opened in 1999. It’s a natural grass stadium (Bermuda sod). The Titans won their first 16 games of the stadium when they first moved in before losing to the Ravens in 2000. Season Tickets contact the Titan Ticket office. You’re on the Tennessee Titans Fan Football Guide page.